In light of BDO’s recent acquisition of BioProcess Technology Consultants (BPTC), INSIDE Public Accounting asked leaders from both firms to discuss further expansion within the life sciences industry, growth strategies and how the merger will help clients. BPTC is a chemistry, manufacturing and controls consulting service. Chicago-based BDO (FY18 net revenue of $1.46 billion) sees the merger as expanding its existing services in developing new biopharmaceutical products while minimizing risk. IPA spoke with Eric Jia-Sobota, national leader of BDO’s Industry Specialty Services and Life Sciences practices, and Howard Levine, Ph.D., managing director and national leader of the Bioprocess Technology Group within BDO’s Life Sciences practice. IPA: It’s starting to become more common for accounting and advisory firms to acquire consulting firms, but often they’re related to technology, such as cybersecurity. Acquiring a consultancy related to the biopharmaceutical industry is unusual. Why the interest? Jia-Sobota: Our clients frequently look to leverage the industry experience and client-specific insights our collective team has, including in the life sciences realm. The life sciences industry is an important vertical for BDO – especially as technology’s infiltration of the space continues to create both new opportunities and mirroring risks. For instance, while breakthroughs in CAR-T and other cell gene therapies have huge potential, biopharmaceutical manufacturers can’t neglect investment in their manufacturing processes as demand for biopharmaceuticals continues to rise. While it may be tempting to invest in new facilities to alleviate production capacity shortages, in the long term, companies must invest in new technologies and methods for bioprocessing. Biopharmaceutical manufacturers need to develop cost-effective methods for scaling their operations, or else lose a competitive edge to those whose investments in technology and new processes make their therapies more affordable. The addition of BPTC enhances our ability to help biopharmaceutical manufacturers meet these evolving demands and de-risk product development while at the same time capitalizing on new, tech-enabled opportunities to further improve patient outcomes. IPA: What was so attractive about BioProcess Technology Consultants that made BDO pull the trigger on an acquisition? Jia-Sobota: BDO and BPTC’s technical and operational services to life sciences entities are complementary, with a focus on helping organizations navigate risk, make informed investment decisions and seize new opportunities. The addition of BPTC supports the continued growth and diversification of life sciences capabilities at BDO. IPA: How will this acquisition help BDO clients? Can you give me an example? Levine: The addition of BPTC enhances BDO’s ability to advise clients on technical, strategic and regulatory aspects of biopharmaceutical development at all stages in the product lifecycle. For instance, there is growing concern within the biopharma sector that current processes and facilities may not have capacity to meet rising global demand for high-volume biologics. Through the addition of BPTC, BDO can further assist companies in implementing process intensification practices that can help bridge the gap between supply and demand, while also improving process efficiency and even product quality. IPA: BPTC founder Howard L. Levine is quoted as saying his firm helped companies address “unmet medical needs and increase patient access to novel medicines.” How so? Levine: While emerging technologies and innovations – like CAR-T therapies and others – show promise for treating formerly intractable diseases or injuries, rising costs limit their accessibility for patients. The professionals from BPTC who have joined BDO will complement our ability to help clients ensure the long-term success of therapies by helping them improve their cost-effectiveness while maintaining or improving efficacy. This may include developing and implementing process intensification strategies – such as continuous bioprocessing. IPA: How does this acquisition fit into BDO’s growth strategy? Jia-Sobota: The addition of BPTC aligns with recent investments BDO has made in innovation across the firm – including added resources in technology solutions, digital transformation, risk advisory and data privacy. These additions position us well for continued growth in the coming years and align with our commitment to offering our clients a comprehensive suite of services across both industry agnostic – and specific – business imperatives. IPA: What can clients expect in the future in terms of additional acquisitions like this one? Jia-Sobota: As part of our commitment to client service, we are continuing to make investments in innovation that can bolster the support we provide clients across industries. 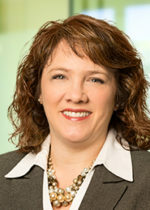 The AICPA has named Angela Newell as chair of the Financial Reporting Executive Committee, or FinREC. Newell, based in Dallas, is a national assurance partner for Chicago-based BDO USA (FY18 net revenue of $1.46 billion). 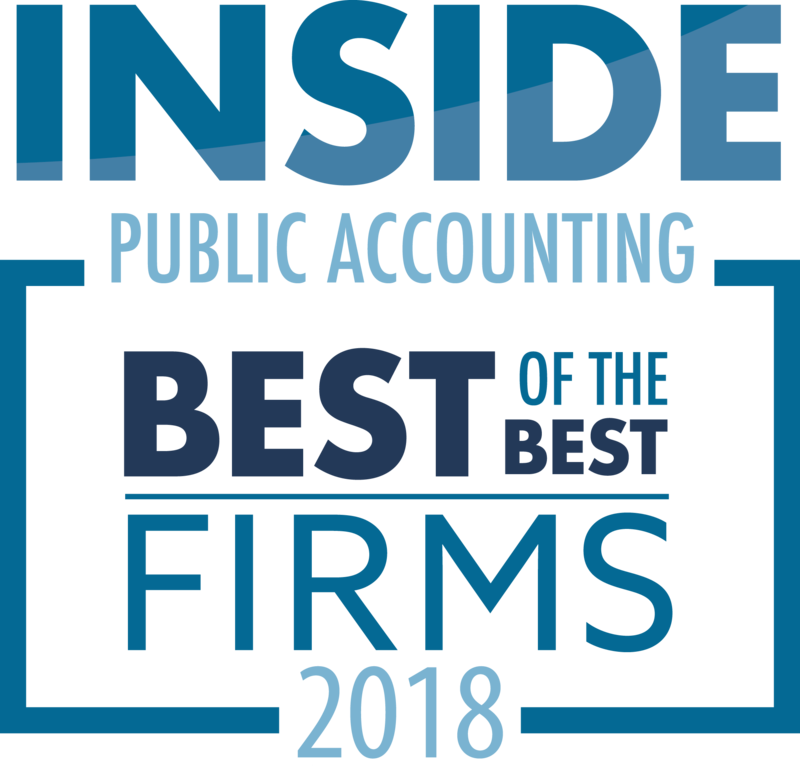 FinREC serves as the AICPA’s official voice on financial reporting matters and develops guidance on accounting for specific industries. The committee’s membership includes representation from business and industry, public practice and academia. 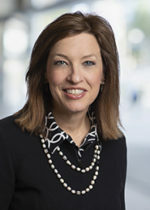 “Angela brings a unique skill set to FinREC, having experiences in both public accounting and industry, coupled with her deep knowledge of GAAP,” says Jim Dolinar, FinREC’s outgoing chair and a partner at Crowe LLP. Newell will succeed Dolinar after the committee’s May 2019 meeting. In her role at BDO, Newell works with audit engagement teams to determine the appropriate accounting for a variety of topics. In addition, she has played a key role in the firm’s response to the new revenue recognition and leasing standards. 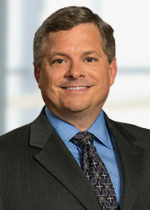 Prior to joining BDO, Newell served as vice president and corporate controller for Fiesta Restaurant Group in Dallas, and vice president of revenue assurance and corporate controller for Clearwire Inc. in Bellevue, Wash.
Chicago-based BDO USA (FY18 net revenue of $1.46 billion) has announced the asset acquisition of Lootok, a crisis management and business continuity consulting and technology firm headquartered in New York. BDO expects the acquisition to improve its risk management capabilities in order to offer an end-to-end suite of services. The firm says that Lootok integrates military models, cognitive science, design thinking and game theory with industry risk management standards to create new ways of understanding the disciplines of business continuity, crisis management and enterprise risk management. Lootok helps organizations of all sizes and industries transform their risk programs. Lootok CEO Sean Murphy has joined the firm as managing director and will lead BDO’s crisis management and business continuity practice. The professionals of Lootok have also joined BDO’s New York office. Chicago-based BDO USA (FY18 net revenue of $1.46 billion) has announced the promotion of three professionals: Andy Zaleski, who has been promoted to Detroit tax OMP; John Marquardt, who will serve as the tax MP for the central region; and Rich Black, who was previously a senior manager in the firm’s Detroit office and is now a partner. In his new role, Zaleski is responsible for overseeing professionals, managing financial operations and fostering client and prospect relationships for tax services in BDO’s greater Detroit office. He has more than 25 years of experience in public accounting, advising both public and private multinational companies, and serving clients in the manufacturing, distribution, health care and private equity industries. In Marquardt’s new role, he will be responsible for establishing objectives and managing all aspects of the central region practice offices, including strategic planning, budgeting, client services, recruiting and staff development. 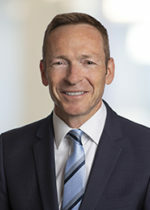 Marquardt previously served as MP for the firm’s Detroit practice and has more than 25 years of experience in manufacturing and distribution, technology and private equity companies. In his new role, Black will continue to conduct audits and internal control evaluations for public and private companies. He has more than 18 years of experience working with organizations in the real estate, manufacturing, health care and service industry sectors. BDO UK LLP and London-based Moore Stephens LLP, are in advanced merger discussions, expected to be completed in spring of 2019. The proposed deal relates only to Moore Stephens LLP, consisting of the London, Birmingham, Reading, Bristol and Watford offices of the current Moore Stephens UK network. The deal would further cement BDO’s position as auditor for AIM businesses and the combined firm will be one of the top auditors in the country based on the number of UK-listed companies it audits. Moore Stephens LLP will take on the BDO brand, as it will remain part of BDO globally, the largest mid-tier accountancy organization in the world with revenues of more than $8 billion and operating in 162 countries. “If ever there were a time for firms to turbo-charge their growth, it’s now. “It was clear from our first meeting that we share similar culture and values,” says Paul Eagland, MP, BDO. 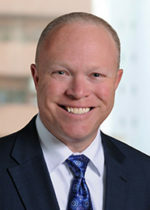 Chicago-based BDO USA (FY18 net revenue of $1.46 billion) announced that Tim Kviz has joined the firm as national assurance MP for SEC services, succeeding Jeff Lenz, who will retire from BDO in 2019. 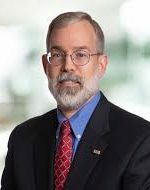 Kviz joins BDO from Freddie Mac, where he served as vice president, head of accounting policy and external reporting for the past 11 years. In that role he had extensive experience working with the SEC as he led the accounting policy, accounting implementation, new business initiative evaluation and implementation, and external reporting teams. Prior to his tenure at Freddie Mac, Kviz was a professional accounting fellow at the SEC for two years. He also worked at PwC for 12 years. Chicago-based BDO (FY18 net revenue of 1.46 billion) announces that Maria Karalis, Karen Stone and Ted Vaughan have each been elected to three-year terms to the firm’s board of directors. Karalis is a new director, replacing Joe Johnson, who completed the maximum two consecutive terms, while Stone and Vaughan were re-elected to new terms of service. These changes are effective Nov. 1. Karalis is the MP for assurance services in BDO’s Stamford, Conn., office. She also serves as the leader of the firm’s Cyprus, Greece and U.K. country desks. 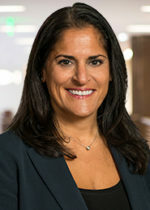 She began her career with the firm in 1994, providing audit and business advisory services to domestic and multinational private and publicly held companies that operate in a variety of industries. During her tenure at BDO, she has been involved with companies undergoing initial public offerings and private placements as well as domestic and international mergers and acquisitions. Karalis was admitted into the partnership in 2001. Stone is a partner in the Charlotte, N.C., office and serves as the MP for tax services in the Atlantic region. During her more than 25-year career in public accounting, she has served clients in multiple industries with a focus on the tax consulting and reporting needs of real estate, manufacturing, consumer business and health care companies. Stone previously served as co-chair of BDO USA’s Women’s Inclusion Strategy Group. Vaughan is the MP for assurance services in BDO’s Dallas office. With more than 25 years of public accounting experience, he provides assurance and consulting services to numerous retail, e-commerce and consumer products companies. 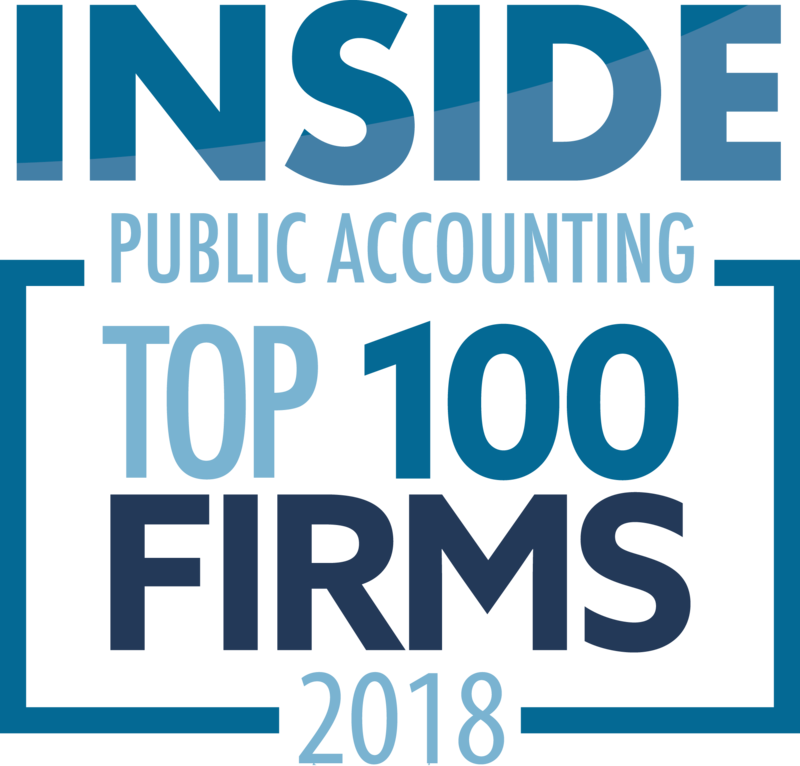 As a national leader for the firm’s retail and consumer products practice and an integral member of the firm’s natural resources practice, he focuses on the accounting and reporting issues facing companies in these industries. Chicago-based BDO USA (FY18 net revenue of $1.46 billion) has acquired IT solutions provider SWC Technology Partners, according to Channel e2e.com. The firm says the deal will bolster its IT advisory capabilities while adding 215 employees and offices in Oak Brook, Ill., and Indianapolis. SWC, launched in 1980, offers managed services, data analytics, cloud and custom app development to mid-market businesses. SWC also supports IT infrastructure (communications, networks and security), as well as software solutions like Microsoft Office 365. SWC will operate as a wholly owned BDO USA subsidiary from its offices in Oak Brook and Indianapolis. SWC was previously a portfolio company of Svoboda Capital Partners, a Chicago-based private equity firm. Multiple accounting firms have acquired technology solutions providers in recent months. Cloud accounting software maker Xero has announced that it has acquired Hubdoc. “This means we’ll be able to accelerate delivering Xero’s vision for code-free accounting. We want to help accountants and bookkeepers focus their efforts on making sense of a small business’ financial data – not collecting it,” Xero announced. Hubdoc is used to streamline administrative tasks such as financial document collection and data entry. Xero says the benefits to the combination are streamlined data capture, real-time financial data and organized and verified data. The Hubdoc team will continue to operate on a stand-alone basis until the products are integrated. “Over the longer term, customers can expect to see a deeper, more powerful integration between the Xero and Hubdoc platforms. While we’re excited about this integration, it’s also important to note that Xero will always be an open ecosystem. That means that customers have the choice to use the apps that best meet their individual needs,” Xero says in a release.